Greater China is forecast to lead the global Industrial IoT (IIoT) market, with the region accounting for about a third of the global market which is tipped to reach 13.8 billion connections globally by 2025. A report by the GSMA entitled The Industrial IoT in Greater China, which draws on interviews with mobile operators in the region, outlines how governments are backing 5G, artificial intelligence (AI) and data analytics to transform the industrial sector. The report noted China’s government has been a driving force behind the country’s adoption of the IIoT, while the country’s mobile operators will play a fundamental role in promoting the development of Made in China 2025 and Internet Plus Action Plan by providing secure, reliable and intelligent connectivity to businesses and enterprises across the country. The IIoT aims to increase productivity by combining AI, cloud computing and advanced analytics to automate manufacturing processes via internet connectivity. For example, it will enable factories to monitor and interpret data from production lines and complex machinery in real time to anticipate faults, manage infrastructure and mitigate risk. The captured data will drive efficiencies, optimise productivity and decrease costs in many important economic sectors beyond manufacturing, such as energy and telecoms. China is also making advances in the area of AI which, with machine learning, will help factories and businesses manage complex processes and drive innovation, the report added. China’s operators will be integral to the development of the IIoT and a strategic partner for cities, governments and other organisations. 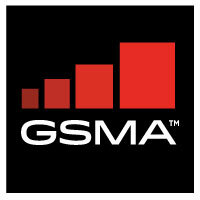 The GSMA’s Internet of Things Programme is working closely with operators, as well as vendors in the ecosystem, to support and help accelerate the delivery of compelling and secure IoT solutions including low power wide area (LPWA) networks, such as LTE-M and NB-IoT.